In 1986 the mall donated it to the Flint Children's Museum. When they moved to their new quarters (1602 W. Third) in 1993, the building’s floor was not strong enough to support the frog’s 6,600 pound concrete and terrazzo weight, which forced the frog to be stored offsite. In 2004, the Ruth Mott Foundation purchased the frog from the Flint Children’s Museum for $35,000 where it now resides permanently on the 30-acre Applewood Estates in Flint. 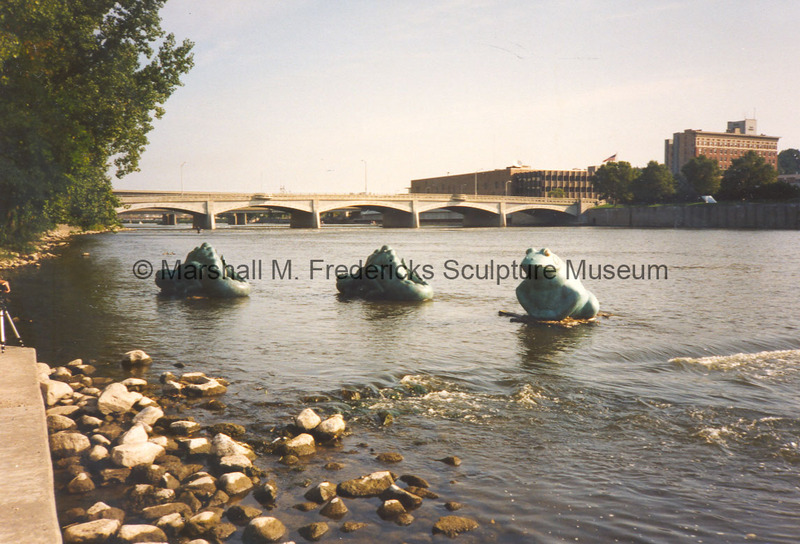 “Two bronze "The Friendly Dragon" and bronze "The Friendly Frog" in the Grand River,” Marshall M. Fredericks Sculpture Museum, accessed April 21, 2019, http://omeka.svsu.edu/items/show/1961.